→What You Need To Know To Find The Best Herb Grinder. All Right Here! 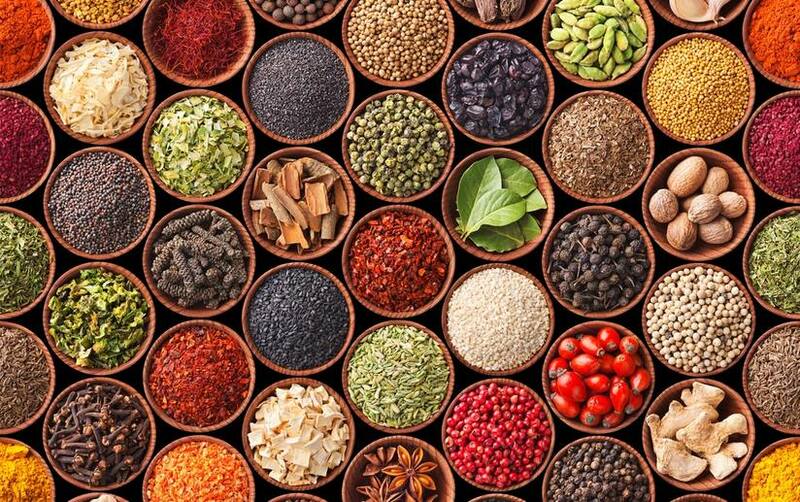 There are several ways to grind herbs and spices. The most widely available method is the use of mortar and pestle. They are effective in crushing herbs and spices in large quantities. A food processor is a great way too! But the best herb grinder is there for you for to make things easier. Using it can be quite interesting and enjoyable too. It’s not all that expensive and can save you effort and time. 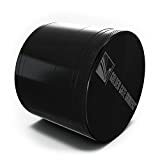 A herb grinder is a cylindrical tool that made of stainless steel, or sometimes plastic, with a crushing chamber. By twisting the top and bottom part, the particles inside the chamber are easily granulated with minimal effort. Inside the chamber is narrowly spaced studs that squash the herbs and spices. Some models have a separate chamber to catch the ground material. This makes collecting your crushed spices easier. This simple twisting mechanism makes it superior over electronic food processor or coffee grinder. It is an essential tool in your kitchen to make evenly ground spices. Freshly ground herbs are best in cooking. Freshly ground pepper is a lot better than readily bought ground pepper. Try it on your steak. Sprinkle some salt and freshly ground pepper on your steak and your friends will be impressed! Herbs and spices ground just before cooking is very aromatic and brings out the best flavor in your dish. The grinder effectively extracts the delicate essence of herbs which brings the “oomph” in your cooking. 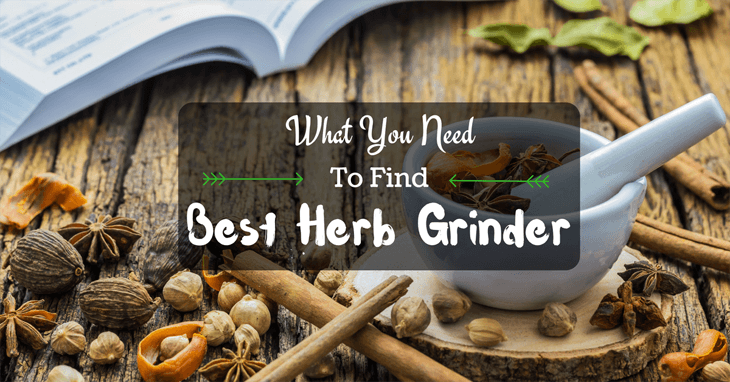 Herb grinders are also best to granulate your herbs and spices for garnish. It adds a class to the presentation of your dish and makes it look fancy. You can also use it to grind dried herbs, place it in a small dish and leave it in your living room. Guests coming inside your house will instantly feel refreshed! Try some mint mixed with rosemary and they will surely love it! What Separate It From the Rest? 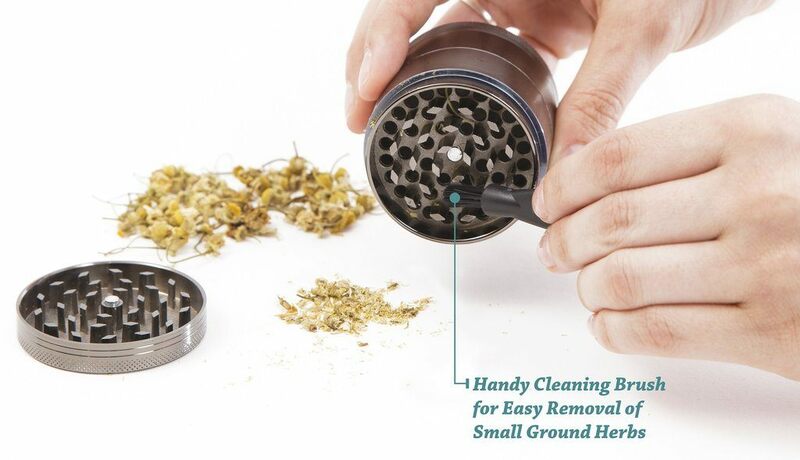 Herb grinder proves itself a better tool than most kitchen tools. It is easy to use, easy to clean, and easy to store. It consumes a quarter of the space required to store your conventional mortar and electronic grinders. Hand mills are a great tool to be used on the table. A few twists at a time can help you adjust the flavor of your dinner. But filling your shakers using mills may not be a good idea. Mills can do the job, yes, but it will require a great deal of time. Using a herb grinder can shorten and lessen your effort to fill your shakers. With a herb grinder, life is just easier. You can grind a good amount at a time with little effort. Just a few, non-strenuous wrist twisting and you have an evenly crushed herb. You could end up with more ground spices compared to using mortar and pestle in the same amount of time. Minus the spill! If you are grinding a batch for your herb shakers, herb grinder can do a great and easy job. A large batch can take you quite a while to finish, but you will get an even texture from start to finish. This is a great tool for home use and a few large quantity cooking. When it comes to large batches of herbs and spices, a mortar is a great tool. You can simple dunk your spices and go bananas over pounding it to tiny bits and pieces. The only problem is, you will have an uneven texture as a result. And, you will have to separate your yield according to its texture and do it all over again. A coffee grinder is a great way to granulate a huge amount of herbs at a time. The only problem is, it may be the best to get an even texture especially if you are crushing fresh herbs. A herb grinder can do a finer job without even consuming electricity! 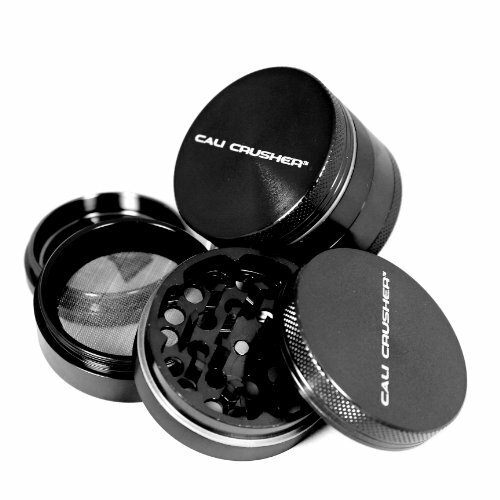 There are different types of the grinders you can choose from. There are two piece types, a top piece, and a bottom piece. It is designed to grind and contain your yield at the same time. If you are going to crush a large quantity, you would need a separate container to collect your herbs. The three-piece type has a container at the bottom to collect your squashed herbs and spices. This makes collecting your ground herbs a little easier. But if you will be crushing a huge amount, you would still have to have a separate container to collect it. 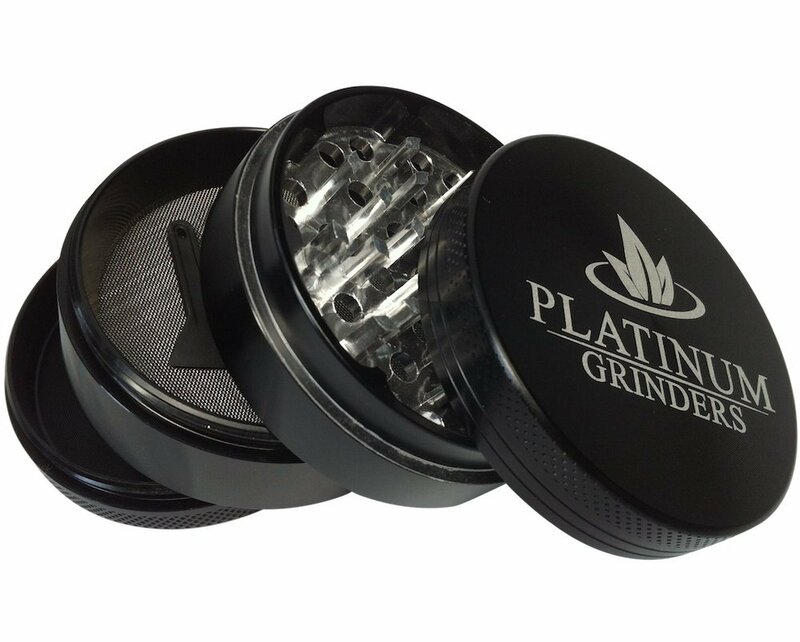 Platinum grinder features a four-piece chamber that has a strainer at the bottom to catch fine dust. It has a 2.5-inch diameter which is a good size to start with. It is enough to grind about a spoon of pepper at a time. You can fill your shaker with a little amount of time. Made of aircraft grade aluminum - It is made of tough aluminum that can potentially last a lifetime! (if you don’t lose it) Rest assured that the treads and the teeth would not chip. Sharp diamond cutting teeth - Gives an effortless feel and efficient twisting. 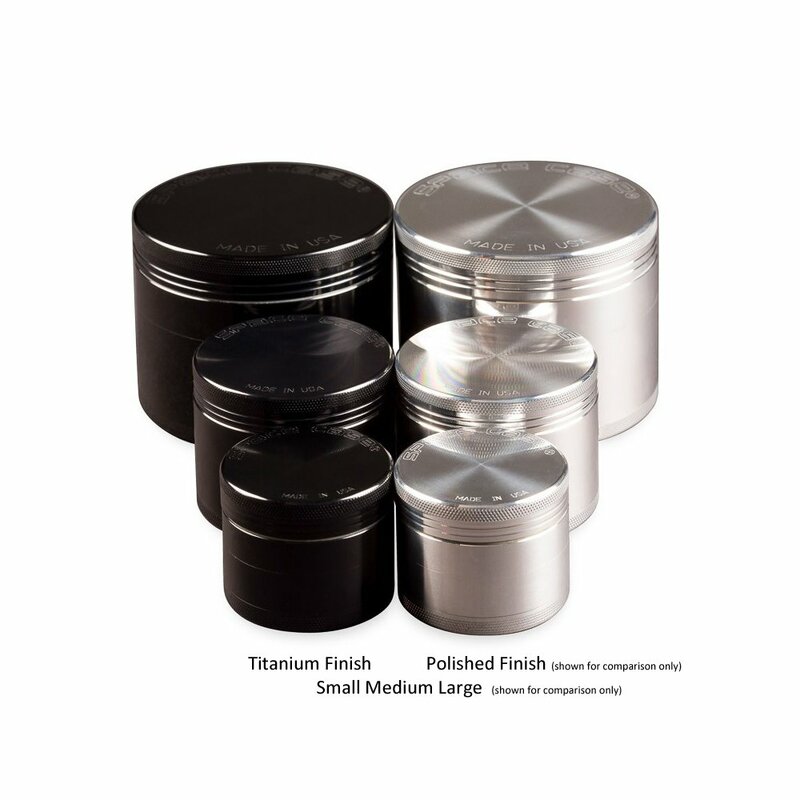 Powerful neodymium magnets - With this powerful magnet, you can even use it as your shaker! The magnets prevent the strong scent of herbs from leaking and ultimately preserves its flavor and freshness. Offers a lifetime warranty - This is a great bonus for you! They are so confident in their product that they are willing to vouch for its quality in your lifetime. Doesn’t come with a scoop - Would be better if they included a scoop that fits the chamber for easier evacuation of the contents. Machining bore marks - It grinds a great texture. The problem is, the pollens get stuck to the tiny machining bore markings. Sticky - Dry herbs are quite easy to clean. But when it comes to fresh and moist herbs and spices, it comes to be a little difficult to clean. 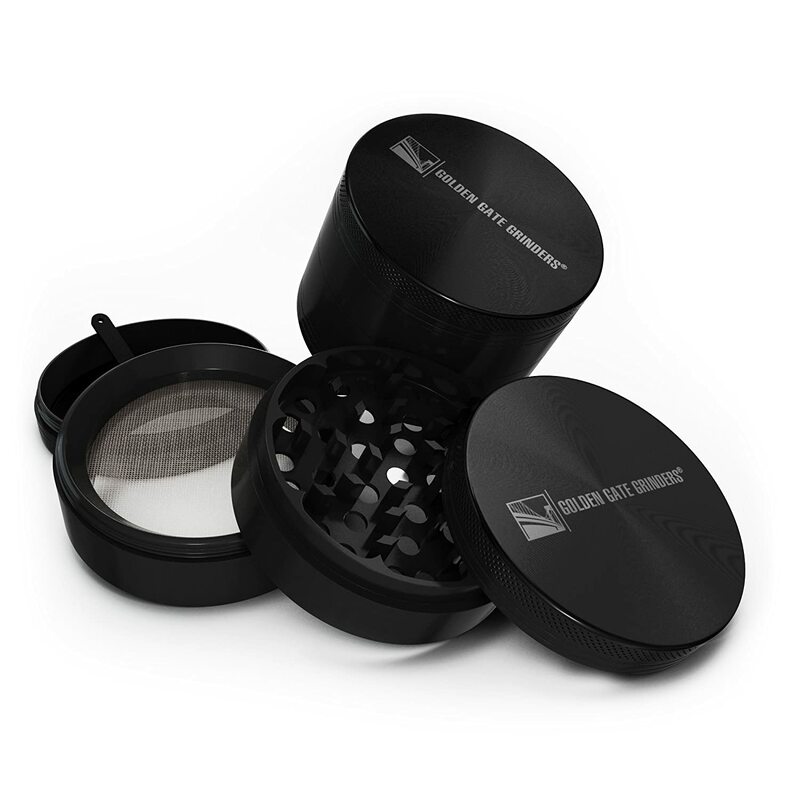 Golden Gate Grinders has made a sturdy herb grinder that can be a useful tool in the kitchen. It had a 2.5-inch bore and made to last a lifetime. It can accommodate a decent batch of herbs and spices at a time which can save you time and effort! Made with aircraft grade aluminum - A material enough to last you close to forever as long as you use it properly. Thin poly O-ring - It is designed with an O-ring to facilitate easier twisting. The rings absorb friction with makes it easier to rotate. Micron stainless mesh pollen catcher - The stainless material used here is a great thing to have. Your mesh, as long as you take care of it properly, can last you a long time! And for a bonus, stainless is not favored by bacterial growth. Just clean and store it properly to prolong its life. Neodymium magnets - These magnets fixes snugly to prevent accidental spilling of the content and can help preserve the flavor of your herbs. Comes with a scoop - The scoop fits in nicely and easily collects stuck herbs. Shallow collecting chamber - The chamber fills easily, and some of the yields spill when you open it. Cap fitting is too tight - Cap fitting is a little tight and a bit difficult to open when you overdo it. A little messy to clean - Herbs stuck on the teeth of the grinder is a little hard to clean. Space case grinder can come as an expensive item. But it also comes with great quality. It is made of titanium alloy and sturdy and feels durable when you hold it in your hands. It’s is also a four-piece grinder to catch and strain the finer ground herbs and spices on the bottom. Aside from the standard four-piece chamber, it has a large bore and can accommodate a lot of herbs and spices. 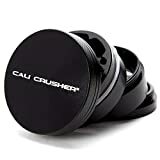 Large diameter - At 3.5 inch, this is a great tool to grind your spices with huge quantities. Manufacturer’s lifetime warranty - A great item that boasts quality with the willingness of the manufacturer to give out a lifetime warranty. Precision machined threads - Superbly machined thread gives a smooth and almost fluid twists. Neodymium magnets - The magnet sticks awesomely. You cannot shake it off easily A few accidental bumps would not cause you to spill everything inside the grinding chamber. Expensive - You could buy 3 of the cheaper versions with how much it costs. The outer surface is a little slippery - If your palms are sweaty and you have a filled top chamber, you will find your hands slipping over the grinder. If they knurl the middle part, this could solve the problem. Yields can come a little coarse - The spacing of the teeth may be a little wide. This can be solved by tilting your grinder and twisting a little more. The problem is, it gets messy when you are collecting. If you want a four-piece grinder that consumes so little space, this might be great for you. It is just 2 inches in diameter and can be handy in the kitchen, even on the dinner table. Well, it may be a little awkward on the dinner table, but you can use it as a shaker! Sturdy aircraft grade aluminum - It may seem small, but it feels unbreakable when you touch it. Compact and sturdy. Comes with a scraper - A scraper comes along when you buy it. It is convenient to use the right size of a scraper. You won’t need to improvise with this! Snug fit - The threads fit nicely and securely. You don’t have to worry about spilling the contents. Small chamber - If you are going to crush a lot of herbs, this will take a little more time since it has a small collecting chamber and a small grinding chamber. This means that you will load up more often than using large diameter grinders. Hard to turn when crushing hard herb and seeds - Since it is small, you don’t have much leverage when you twist it. It can drain your grip if you are crushing a lot of herbs and spices. 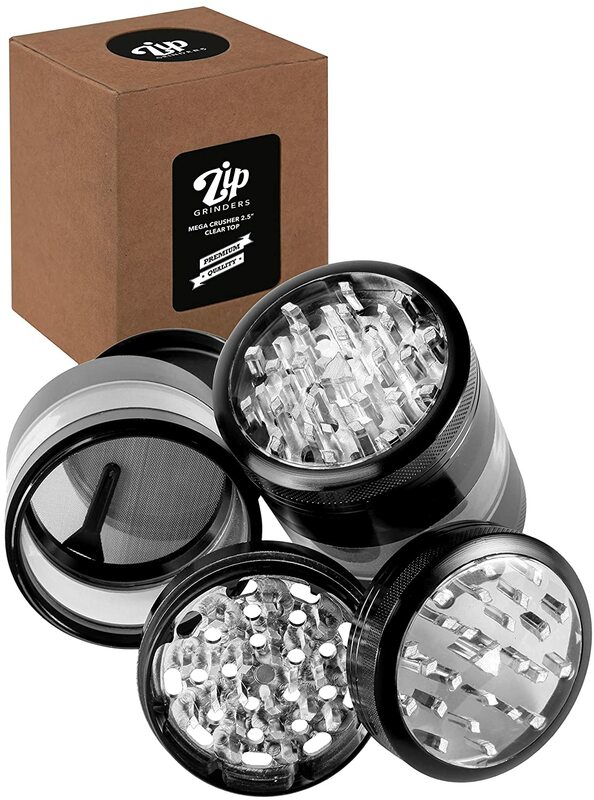 Zip grinders made a herb grinder for those of you who are not fond of transferring your yields on a separate container. It has a 2.5-inch diameter and a tall collecting chamber! The clear collecting chamber can fit up to 6 heaping tablespoons of your coarsely ground herbs or spices! Sturdy material - Made with aerospace grade material. It is durable and tough. 49 diamond shape sharp teeth - Easily grinds a huge batch of herbs and spices. Sharp teeth mean lesser effort when grinding. Large collecting chamber - The collecting chamber is absolutely awesome! You can grind a good amount of dry herbs at a time and store it for later use! Clear collecting chamber - Well, this is just another cool feature. You won’t have to open the chamber to check how much content it has and minimizing spill over your kitchen! It is a little tall - It sits high on your counter top. Because of the added volume of the collecting chamber, it sits higher than most of your herbs and spices shaker. Fragile - The transparent chamber, of course, is not as sturdy as your aluminum and can break easily when dropped. The magnet seems to be not doing its job well - The magnets are not as strong as the previous products and don't fit nicely. There are a lot of herb grinder out there in the market. Some are better than most; some are cheaper than most. But depending on how you use it, a cheap version can last a long time if you are careful! If you have found this article useful, feel free to share this page. If you have some questions, leave a comment, and I will connect with you as soon as I can!